Hurry over to Amazon to snag this Green Toys Tea Set for only $12.99, regularly $27.99. This toy set meets FDA food contact standards and ensures durability, strength and safety. 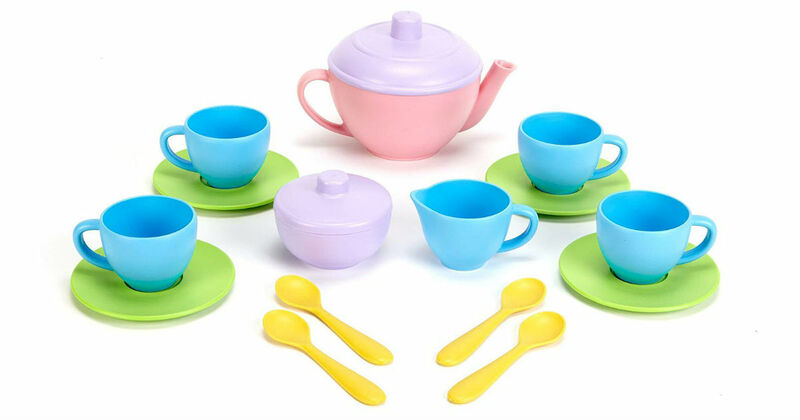 This tea set can also be used for serving milk, shakes or soups to your kids.